Let’s design the future together! Dassault Systemes, the 3DEXPERIENCE Company, provides business and people with virtual universes to imagine sustainable innovations. Its world-leading solutions transform the way products are designed, produced, and supported. Dassault Systemes’ collaborative solutions foster social innovation, expanding possibilities for the virtual world to improve the real world. The group brings value to over 190,000 customers of all sizes, in all industries, in more than 140 countries. 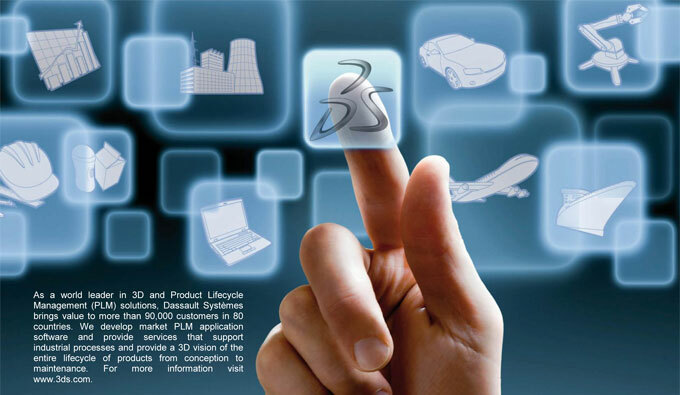 CATIA, SOLIDWORKS, ENOVIA, DELMIA, SIMULIA, GEOVIA, EXALEAD, 3D VIA, 3DSWYM, BIOVIA, NETVIBES, 3DEXCITE are registered trademarks of Dassault Systemes or its subsidiaries in the US and/or other countries. Dassault Systemes in Poland is a leading adaptive production management software provider and its solutions have been used by more than 200 customers globally. Joining 3DS User Assistance Development team will allow you to get extensive experience in a creative, friendly and professional environment where people feel good. Our employees are constantly upgrading their skills, developing their competences and can fully use their potential. 3DS professionals work with innovative technologies, build world-class products and cooperate with global customers. Being part of 3DS means working in international, well-organized and collaborative teams using agile techniques.